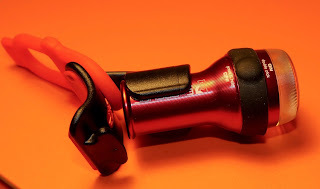 I have been looking for a good rechargeable rear light for some time. 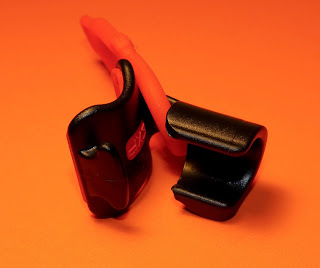 I really liked the Knogg Blinder I had but the rubber strap wasn't really that durable and two snapped - with my actually losing one light as a result. 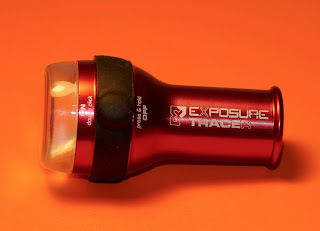 Having already owning an Exposure front light I decided to do a bit of research and decided to take the plunge and buy one of their rear lights. Charge time - approximately 2 and a half hours (I got under two hours using a plug adapter). The actual light is tiny but it is solid and its metal body gives a sense that it would withstand some adbuse. The light is waterproof and I have used it in a downpour with total confidence. 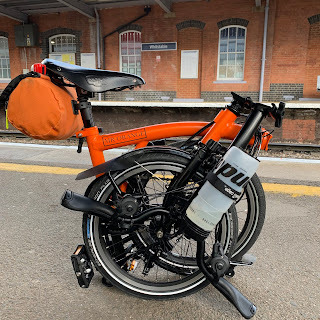 The bracket is VERY secure in terms of attached to the seat post and the the light clicked into place on the bracket itself. There is no chance of the light coming loose, even on the most unforgiving surface. 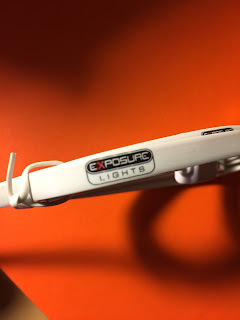 In addition the silicon band that comes with the light is heavy duty and I have every confidence that it will stand the test of time. Spare bands can be purchased for £3 - £4 and spare brackets with the silicon band for about £7. The light comes with an Exposure branded USB cable. A small rubber band runs around the head of the light. A tab sticks up so that you can pull the rubber back and insert the USB cable. It was very stiff and I know that some people have complained about this but as far as I am concerned this is a good thing as it means the UBS port is protected from the elements. It takes 2 and a half hours to charge the light but I managed this in well under two hours when using a wall charger rather than plugging into a computer. However the great thing is that you can plug this into your work computer if running low on juice. 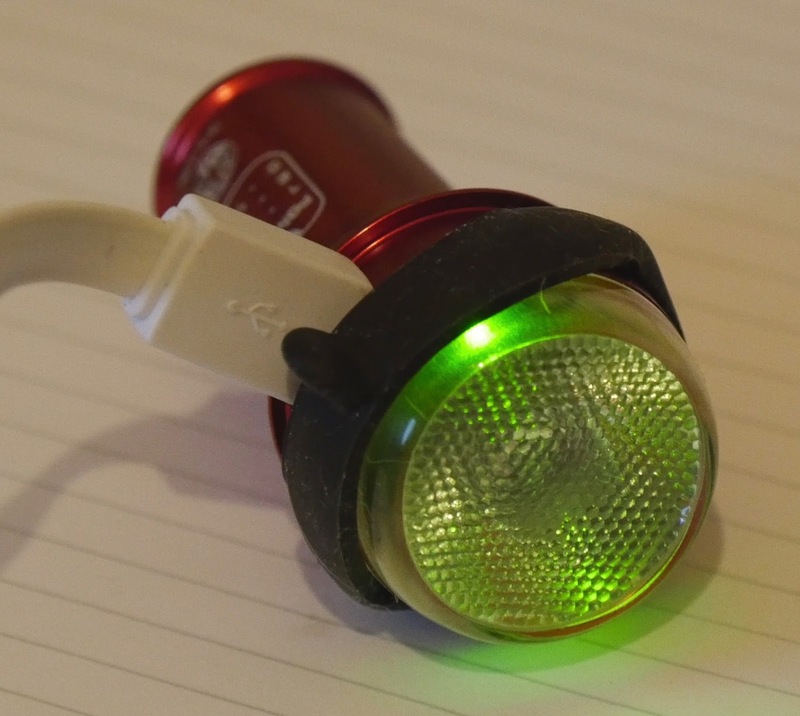 While charging the light flashes green and then remains a constant green when charged. The light lets you know when it needs charging by turning red when you turn it on. Powering the light on is very easy. You simply double press the on button. The light has two modes - constant and flash and it remembers which one was selected the last time the light was turned on. The light lets you know there is enough juice by turning green as you turn it off. 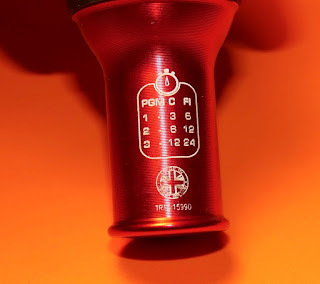 There are several modes that can easily be selected depending on burn time and whether you want the full 75 lumens. I have been using mode 2 which gives me 12 hours of burn time on my preferred flash setting. Despite not being the full 75 lumens, the light it emits is impressive. I have also tried mode 3 which gives double that and been impressed. 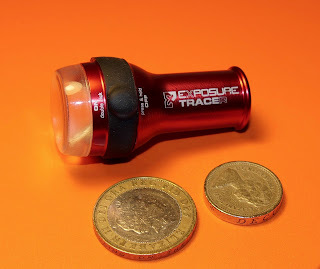 The TraceR can be bought fora round £45 but if you shop around as I did you can it for a lot less. I got it for £24.99 including free postage and consider that to be a bit of a bargain. 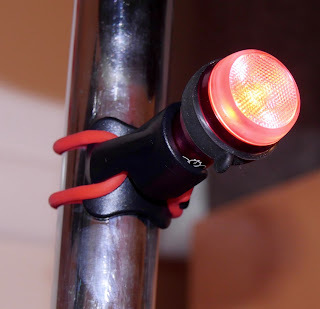 My only other rear lights are the battery operated 'Metro Flash' lights that sit on my Carradice saddle bag. This is a good light but the TraceR is in another league altogether. I can see this providing many years of service on commutes and night rides and certainly lets other road users see you. Definitely worth a look if you are in the market for a rear light of this type.